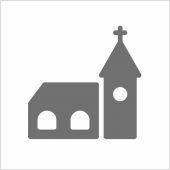 The Gloucestershire Alliance produces the Funding Opportunities Bulletin on behalf of Gloucestershire County Council.This month’s Bulletin has some useful entries relevant to church buildings and church projects. The Bulletin provides information on key funding opportunities available in Gloucestershire. This list is not exhaustive and is updated regularly.
. This service is only available for organisations who operate in Gloucestershire.